With more than 300 million active monthly users, Instagram is one of the hottest social media apps. 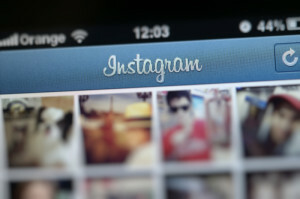 The average Instagram user spends 21 minutes per day using the app. That’s a lot of time for an app that just shows images and has virtually no desktop presence, writes Econsultancy’s David Moth – and I certainly agree! Instagram’s image-heavy interface makes it a natural fit for lifestyle and fashion companies seeking to build deeper brand engagement with customers and, ultimately, sell more products. For example, Nike’s @nikewomen feed posts daily inspirational workout images featuring an “#ootd” (that’s ‘outfit of the day’ in Instagram lingo) with a link to buy the clothes in the @nikewomen bio. But what about B2B companies – does Instagram make sense for them? A company like UPS, for example, doesn’t exactly have an “outfit of the day” to post. My short answer: absolutely. B2B companies can definitely use Instagram to boost engagement and tell their stories visually. Here’s how. Don’t be afraid to show off what your business does on Instagram – just think creatively! Cisco used USB cables to create an outline of Yoda and posted the image, along with a clever “May the Fourth Be With You” on its Instagram feed in celebration of Star Wars Day. Get your employees involved and share an “inside look” at what your company does each day – whether that’s an employee on the manufacturing floor or a designer hard at work creating your next product. What seems ordinary to you can be interesting to your followers. Short educational or instructional videos bring practical value to your followers’ day. Since Instagram limits you to 15 seconds, you don’t need to worry about fancy production or editing, you can even shoot something basic with your smartphone! 40% of the most shared Instagram videos are posted by brands, according to DMR. General Electric is well known for its great branded content, and its videos are no exception. In addition to instructional videos, GE also goes back to the archives, posting “throwback” videos (#tbt or “throw back Thursday” in Instagram speak) like this great video clip from one of Thomas Edison’s early films. Are sponsored posts worth the money? Like any piece of paid advertising, sponsored posts can be effective when they are used strategically as part of a larger engagement strategy. For example, Michael Kor’s first sponsored Instagram post reached a global audience of 6.15m, bringing the company 33,000 new followers, 16 times more than its usual reach. If you find that your brand is struggling to build a following on Instagram, sponsored posts to your targeted audience are a great option for boosting outreach and driving engagement. Like with any social media channel, your Instagram feed won’t magically grow from 5 people to 50,000 people overnight. You’ll need to follow a clear, concrete strategy that makes aligns with your current marketing goals and meshes with your existing branding efforts. Consistency counts: you can’t throw up an Instagram post and disappear for the next month. Just like Facebook, Twitter and LinkedIn, regular engagement with followers and consistent posting is important. If the thought of getting started with an Instagram account seems a bit daunting, consider outsourcing (and the rest of your social media strategy) to a social media marketing company. Many agencies like LYFE Marketing and Oktopost are adept at helping businesses of all sizes with Instagram and other social media channels. In addition to saving you a lot of time, when a single company is in charge of your social media strategy, they’ll be able to optimize all your channels with a streamlined strategy that drives organic traffic to your website and boosts leads and sales. Alternatively, you can use a social media platform like HootSuite Enterprise or SproutSocial to manage all your accounts from a single dashboard. Is your business currently active on Instagram? What posts have you found to be most successful for driving brand engagement?